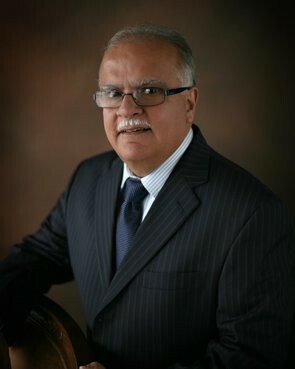 A graduate of Saint Michael's College, Raja began his career in the financial services industry over three decades ago, and joined Wealt Solutions Group as a Financial Services Representative in 2014. Recognized for his leadership, outstanding sales performance and service to clients, he has received numerous companies' and industry awards including MONY's Top Club, President's Council and Forum, as well as the industry's National Quality Award and the National Sales Achievement Award. Raja has also been invited to attend the company's Forum honor club. Raja also qualified for AXA Equitable's Circle of Excellence. Active in the industry, Raja is a member of the National Association of Insurance and Financial Advisors, Mobile chapter, and a life member of the Million Dollar Round Table (MDRT). MDRT is an international association of leading financial professionals, recognized as the standard of excellence in the life insurance-based financial services industry. His personal interest are traveling around the world, tennis, enjoying the outdoors, and spending time with his family. Raja resides in the Cottage Hill area of Mobile, AL. Raja understands the importance of helping clients make the most appropriate financial decisions possible and knows that people want to work with someone who is attentive to their personal needs. That's why he strives to provide clients with financial strategies that can help meet their objectives. He focuses on providing business, estate conservation and retirement funding strategies.